Mumbai/Ahmednagar, March 12 : Former union agriculture minister Sharad Pawar and social crusader Anna Hazare on Monday strongly criticized the ruling Bharatiya Janata Party (BJP) at the Centre and in Maharashtra for letting down the farmers. Speaking to the media in Mumbai and Ralegan-Siddhi (Ahmednagar), the two senior leaders asked why over 30,000 farmers were compelled to march nearly 200 km from Nashik to Mumbai for six days if the government was serious about accepting their demands. “Why could the state government not depute a team to Nashik to discuss the grievances of the farmers and resolve it? 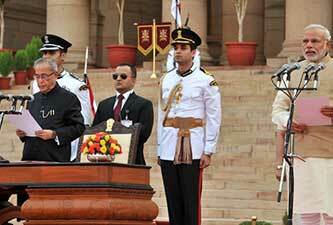 Its four years since Prime Minister Narendra Modi came to power, but the promises of minimum support price for farm produce has not been implemented,” Pawar said. “The farmers’ demands are just and the government must take immediate steps to resolve them. 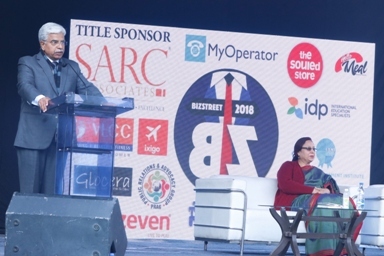 It is condemnable that farmers in an agrarian economy like India were forced to resort to a Long March for redressal of their demands,” Hazare said. In a related development, a 12-member delegation of farmers leaders went to meet Chief Minister Devendra Fadnavis and others in the Maharashtra Legislature. “If nothing fruitful emerges from the discussions, the farmers will display their strength We shall lay siege to the legislature, sit wherever we are stopped and shall launch a hunger strike,” said farmers’ leader Ajit Navale. He said the farmers want a “time-bound programme and a concrete proposal on how it will be implemented” before they return to their fields. “After the outcome of the discussions, we shall plan our next course of action, we shall only accept everything in writing, we have no faith in the speeches by Fadnavis,” Navale remarked. Meanwhile, several thousands of farmers, men, women and youth, parked themselves under the scorching sun at the historic Azad Maidan in south Mumbai, around three km from the legislature where the budget session is currently on. 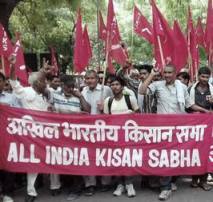 The farmers, tribals and labourers, under the banner of All India Kisan Sabha, the farmers wing of the Communist Party of India (M), had marched nearly 200 km since March 6 and reached Mumbai late on Sunday, and to Azad Maidan at dawn on Monday. With swollen eyes, blistered feet, broken nails and torn clothes, the farmers sporting red caps and CPI(M) flags marched peacefully for nearly 150 hours to press their demands. All political parties have supported the farmers’ Long March, with Congress President Rahul Gandhi coming out in favour of the peasantry, terming it as “an unprecedented show of strength” and urged Modi and Fadnavis to shed their egos and concede the farmers’ legitimate demands.